Marti Glenn, PhD, is Clinical Director of Quest Institute, offering professional trainings and intensive retreats to help adults heal adverse childhood experiences and trauma. 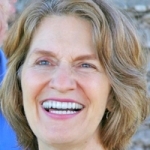 A pioneering psychotherapist and educator, Marti is founding president of Santa Barbara Graduate Institute, known for its graduate degrees in prenatal and perinatal psychology, somatic psychology and clinical psychology. In her clinical work and trainings, Marti emphasizes the integration of the latest research in behavioral epigenetics, Polyvagal Theory and affective neuroscience with attachment, early development, and trauma. She co-produced the broadcast quality documentary, Trauma, Brain and Relationship: Helping Children Heal with Daniel Siegel and Bruce Perry and has appeared in such documentary films as What Babies Want; What Babies Know; Reducing Infant Mortality and Improving the Health of Babies. She is the recent recipient of the Verny Lifetime Achievement Award in Prenatal and Perinatal Psychology and Health. Marti is a frequent speaker at conferences worldwide. The latest developments in science, medicine and psychology suggest that the most critical formative period for human development is between pre-conception and baby’s first postnatal year. This is the most “sensitive and critical period” in the establishment of life patterns in all domains: physical, mental, emotional, relational, and spiritual. For over three decades, prenatal and perinatal psychology has been studying our earliest development from pre-conception through birth and bonding. The field’s research and clinical experience have established the fact that our earliest experiences form the foundation of our sense of self, our capacity to relate to others and our resiliency in life. This work has also effectively mapped key nodal points of development that need to be met in order to promote healthy life patterns. This presentation will outline 12 principles from this research and clinical practice that will help guide practitioners in understanding and applying the fundamentals in their work.